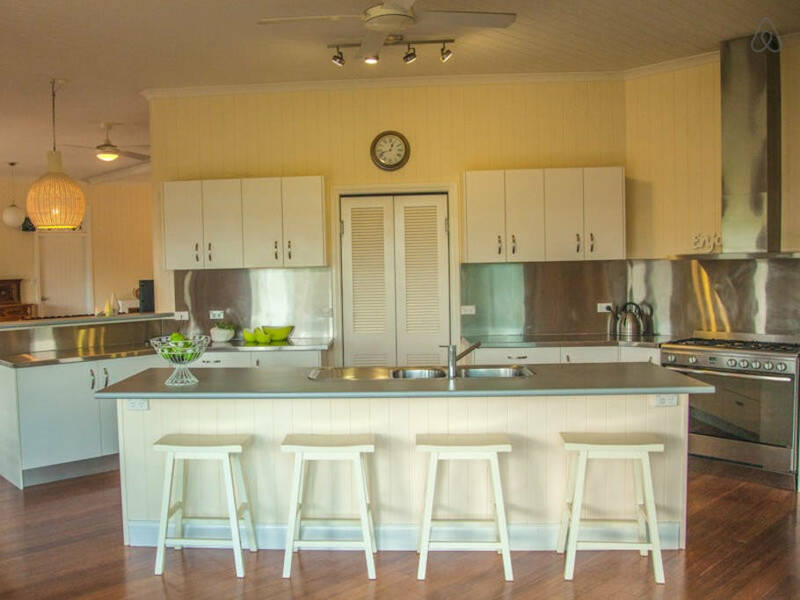 Set on 34 acres of forest, Bamboosa Bed and Breakfast is a perfect getaway close to Eumundi with fast access to Noosa beaches and restaurants. Rooms are available 7 days a week in the main house and longer bookings are available for the cabin. 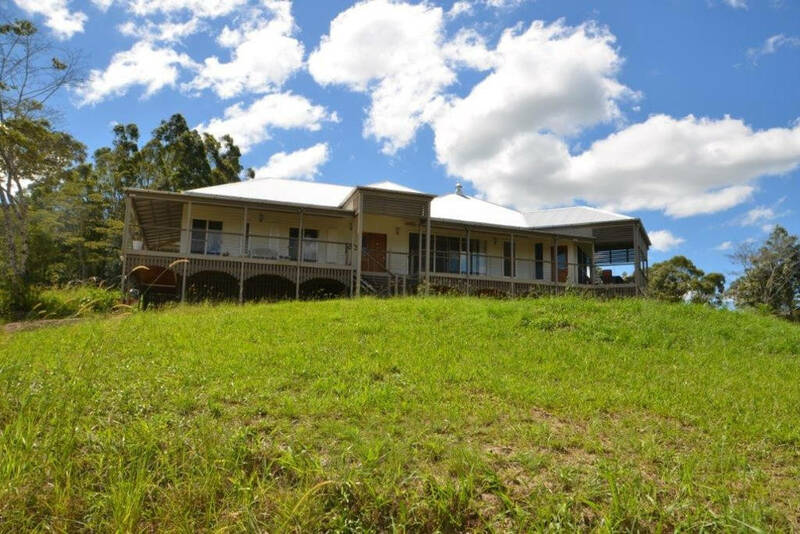 Just 2 minutes drive from Eumundi. The property provides some examples of sustainable lifestyle and is secluded but close to a lot of action. 34 acres of property for you discover at your leisure. There are beaches within 20 minutes drive or exploration of the hinterland. We enjoy being part of a motorcycle tour and have been on many ourselves in many different countries. This particular listing is for one of two private rooms and a bathroom that would be shared by guests, situated in private wing of the main house. Please enquire if you would like to book the two rooms to accommodate 4 guests instead of the one room. Or to find out if the other room is occupied whilst you’re stay. Guests can enjoy our unique country “beach” area on our dam or paddle a boat on the lake. Guests have access to most of the house and exclusive use of their queen sized bedroom. We can provide the basic breakfast or serve a special order country breakfast if you wish. We enjoy having guests but will leave you to your own devices if you wish. It is your stay so it is your choice. The lounge/dining and open plan kitchen are common areas but we can arrange for special intimate evenings if that is part of your vacation plan. Our neighbourhood has a wonderful climate, beautiful scenery, a myriad of things to do within 20 minutes drive. The local people are friendly and helpful. 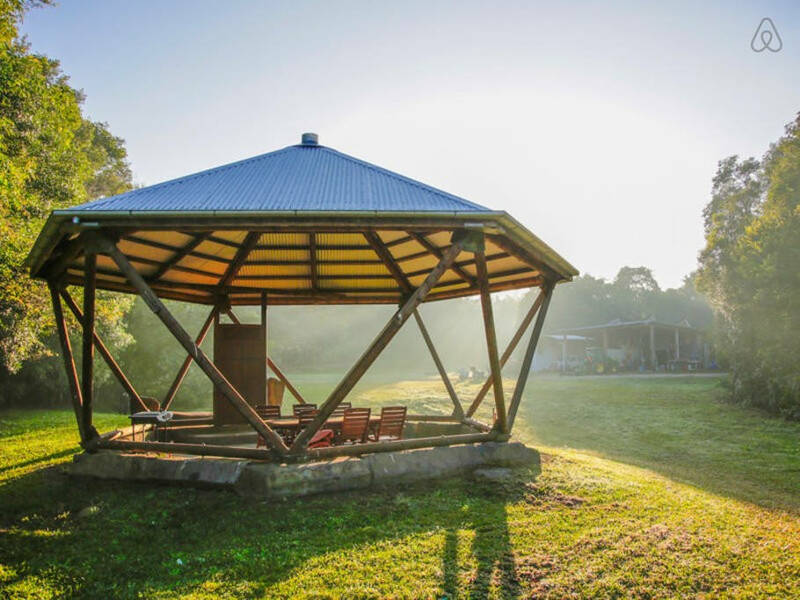 Our village has a rich history which can be shared at Discover Eumundi, our museum. Whether you come for the surf or the hinterland treats, the restaurants or the night life, most visitors find one visit just isn’t enough. Eumundi has its own community bus and we can do pick ups and drop offs for those whose destination is Bamboosa. But you do need a car, or more popular these days, a motor bike or scooter, to enjoy those treasures beyond our beautiful 33 acres. We do have a resident dog which can be housed elsewhere during your stay. It may be possible for you to bring your dog with special prior arrangement if that would enhance your stay. We will need to show each other immunisation certificates and check they get on. We do have alternatives but walks on the property must be on leads as we have chickens and lots of woildlife.